Unbelievably our Photo Box pictures arrived yesterday morning. 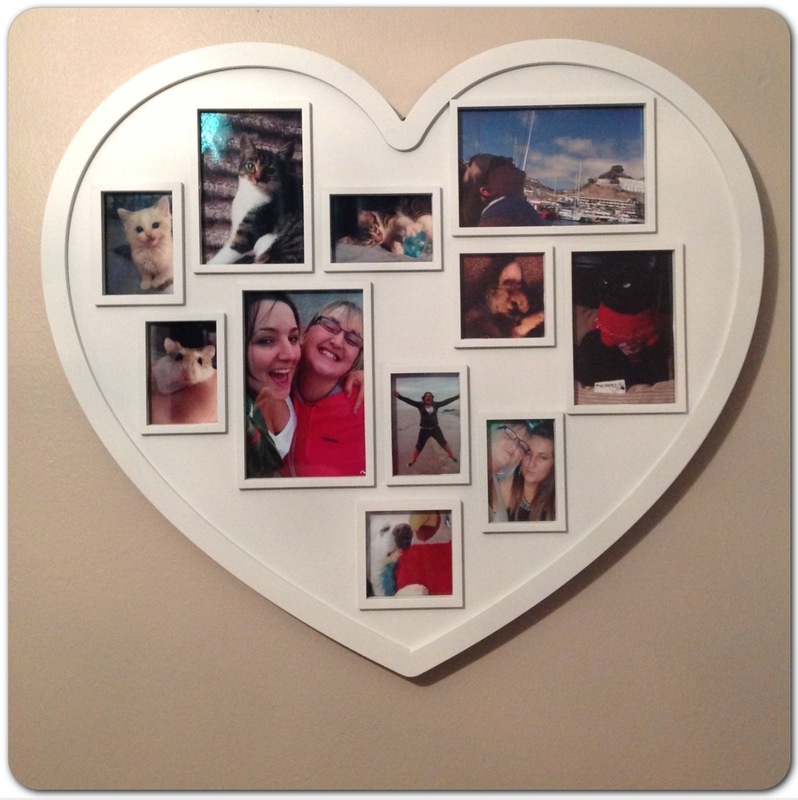 We couldn’t wait to get home and put them in our love heart shaped picture frame. At first we were under the impression that some of the images would need to be cropped down carefully, for them to fit in to the photo area – as Photo Box don’t have an option for creating images to the size of 2.5 x 3.5, for example. So anyways, before we got under way with the task at hand. We arranged the photographs on the outer surface, so that we could visualise where they were going to go. 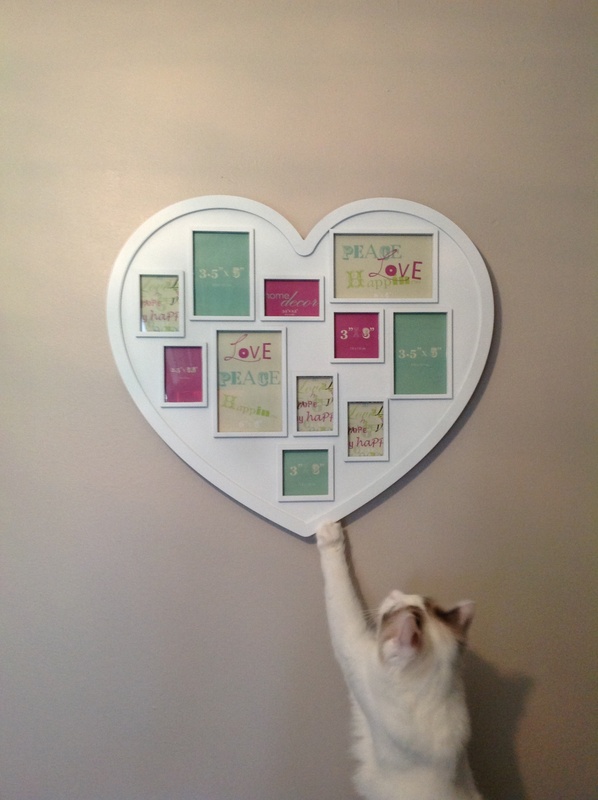 Once we were happy with the arrangement, it was time to remove the back off our wall hanging heart shaped picture frame. Once removed, we noticed that the underneath was completely flat to the glass – so we were fortunate that the images didn’t need chopping down. 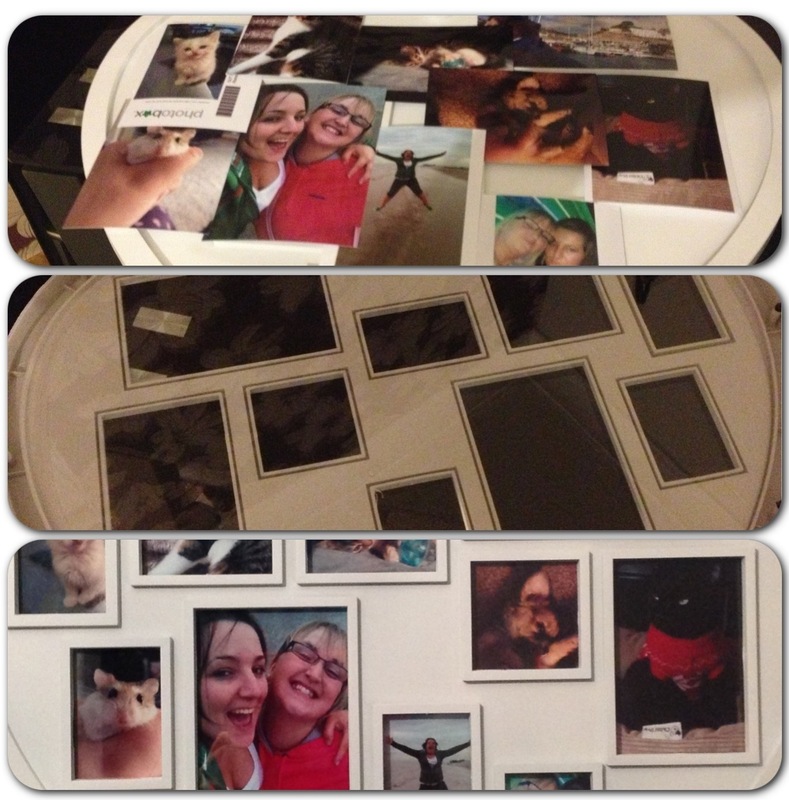 We ensured that the photo’s would not slip down, once in the frame, by using sticky tape to secure them in place. Once we were happy with the images, and had them straight, we re-attached the back of the picture frame and hung it back on our spare bedroom wall. So what do you think? A cute way of storing memories huh?! And we just couldn’t resist leaving ‘Rolo’ out, god bless our little Roborovski hamster.